The 246-page report contrasted starkly with US President Donald J. Trump’s assessment expressed in his address to the United Nations general assembly. “Following my trip to Saudi Arabia last year, the Gulf countries opened a new centre to target terrorist financing. They are enforcing new sanctions. They are working with us to identify and track terrorist networks and taking more responsibility for fighting terrorism and extremism in their own region”, Mr. Trump said. Writing in Forbes, journalist Dominic Dudley noted that the FATF report may not have taken into account new anti-money laundering and terrorism finance-related laws adopted last year by Saudi Arabia. “The new laws were coming in just as the FATF was conducting its research for this report and it is too soon to judge how effective they have been,” Mr. Dudley said. FATF suggested that the problem was the kingdom’s implementation of anti-money laundering and terrorism finance measures rather than its legal infrastructure. 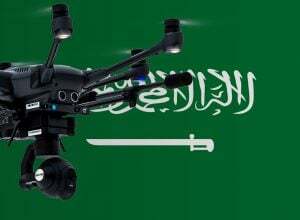 “Saudi Arabia has a legal framework that provides it with an adequate basis to investigate and prosecute ML (money laundering) activities… Saudi Arabia is not effectively investigating and prosecuting individuals involved in larger scale or professional ML activity. Investigations are often reactive rather than proactive, and tend to be straightforward and single layered.,” the report said. The report noted that Saudi Arabia seldom convicted funders of political violence who were not directly involved in attacks. “This includes TF cases in relation to funds raised in the Saudi Arabia for support of individuals affiliated with terrorist entities outside the kingdom, particularly outside the Middle-East region, which remains a risk. Saudi Arabia’s overall strategy for fighting terrorist financing mainly focuses on using law enforcement measures to disrupt terrorist threats directed at the kingdom and its immediate vicinity,” the report said.